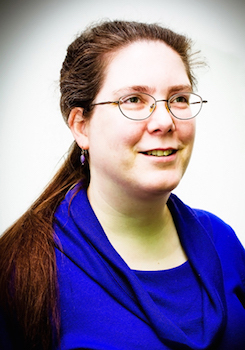 Genevieve Cogman is a freelance author, who has written for several role-playing game companies. She currently works for the NHS in England as a clinical classifications specialist. The Invisible Library is her first novel. Click here for more stories by Genevieve Cogman. The Invisible Library by Genevieve Cogman came along just in time for your vacation or summer reading. The book was published in Great Britain last year but the American edition came out this month. This is Cogman’s first novel, and it is a sure-footed, fast-paced romp of alternate history, self-referential book-love, nods to movies and television, magic, mysteries and secrets. And did I mention the dragons? With The Masked City (2016), Genevieve Cogman delivers a fun, imaginative follow-up to her The Invisible Library (2015) debut. We get to spend time with our favorite characters from the first book: Irene and Kai, Holmesian-detective Vale and the fearsome Coppelia. We meet some new ones as well, including a dragon, a new pair of adversaries and a magical Train, who was my personal favorite. This review may contain spoilers for the first book. 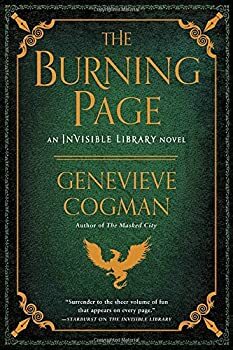 The Burning Page (2017) is the third book in Genevieve Cogman’s THE INVISIBLE LIBRARY series, and it’s safe to say that a lot goes on in this book. I enjoyed it in the moment, but I was left unsatisfied on a couple of points. Even though there is a lot of activity in the book, I have to say that, for me, this was the least successful entry in this fun series so far. Please note that on Amazon and other sites, my opinion is a minority. Most readers of this series are pleased with this book. So, as we say, your mileage may vary. The Lost Plot: Kai and Irene must save the Library! Again! 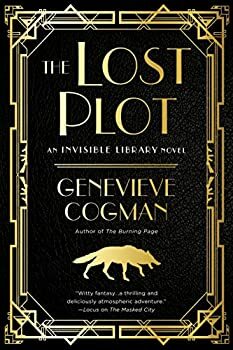 The Lost Plot (2017) is the fourth book in Genevieve Cogman’s INVISIBLE LIBRARY series. Committed to the Library’s mission to maintain the balance between chaos and order, Irene Winters and her student, Kai, end up in a world in a Prohibition timeline, as they track down a Librarian who has violated the Library’s neutrality by assisting an agent of Order (a dragon). To put it simply, if you enjoyed the other INVISIBLE LIBRARY books, you will enjoy this one. It has book humor, lavish use of the magical Library language, dragons, Fae, double-crosses, predicaments, chase scenes and action scenes galore, culminating in a suspenseful interrogation sequence in the royal court of a Dragon Queen.